Hello....remember me....I use to write a blog. I have been super busy and the blog kind of got lost in the chaos that has been my life lately. Two businesses, a family and serious training have left me overwhelmed but I have missed blogging so I am going to try to get back to it, maybe not every week but as often as I can. So where did I leave off, oh yeah, the Olympics. The Olympics seem so long ago, we won in hockey, men's and women's so the nation was happy, I was happy we won the curling gold in men's and women's, it was truly a Canadian Double Double. Since then, I lost my motivation, gave a talk about goals, ran a race and got inspired so I will give you a recap. I was uninspired to train; work, winter and everything else made it hard, all I wanted to do was sleep and eat. I did 70% of my workouts but my heart was not in it and my results showed. My coach was great during this time, I was not the only one to feel this way and she accepted what I could do and I am grateful for her guidance and patience. In early March I gave a talk to the marathon group about goal setting, I was nervous and excited but I think I did a good job. It was fun to give back and help inspire others on their running journey. Who would have thought that I would be giving a talk about goals...me, the queen of unfinished projects up to a few years ago. 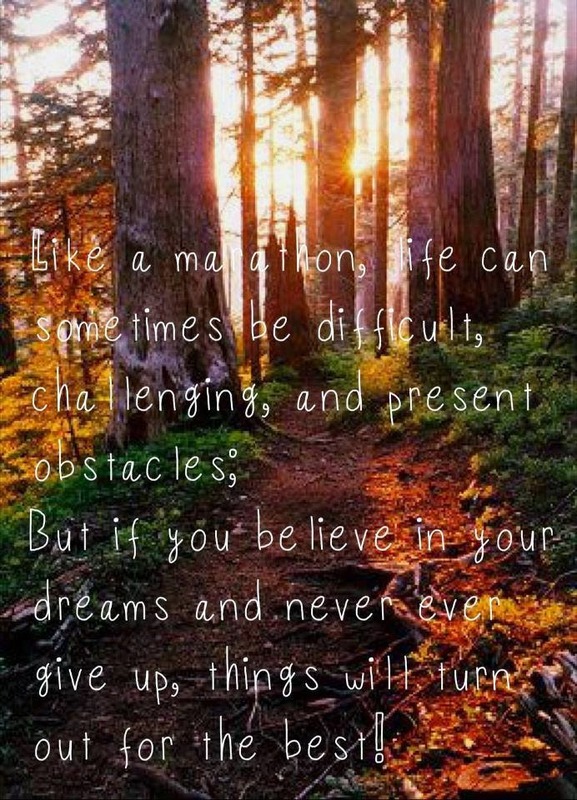 Running has taught me to dream big and more importantly how to achieve those dreams. I hope I get the chance to inspire others more in the future, it was a great feeling. I had signed up for the Around the Bay 30k race on March 30 in Hamilton ON. It was the 120th anniversary of the run and Neale had run it before so I thought it would be fun. When I signed up I wanted to get as close to 3 hours as possible but as the race approached I knew I had not trained enough. We revised my goal to a more modest 3:13 but in my soul, I was disappointed in myself for not training harder. I felt like I had given up and I hated it so I promised myself that I would give 100% on race day and leave it all on the roads. I woke up on race day and I knew it would be a good day, I just felt it, the sun was shining, it was warm and I was running with friends. 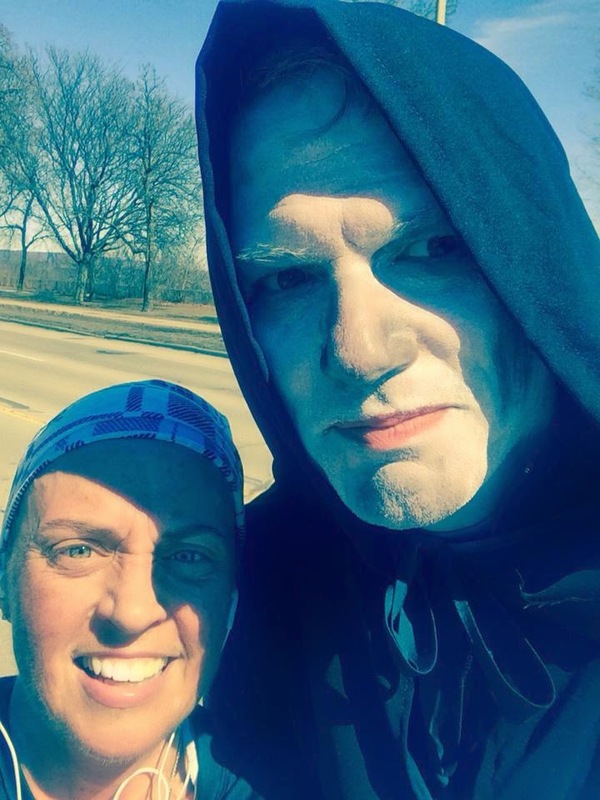 The race was tough, I had not done enough hill training and it showed, I lost 3 mins on the last 15 K due to the hills but I managed to come in within my goal, 3:13:49 and I even stopped for a selfie with the Reaper at the 28K point. This was the photo I wanted as a metaphor for the transformation I had made to my life in the last 5 years, from over-weight couch potato to marathon runner and triathlete. I am smiling and he is frowning, I had won, he lost and I kept on running, as I plan on doing for as long as possible. On April 5 I went to a ladies night at a local sport store. One of the speakers was Sindy Hooper, at 50 she completed her first Ironman and he planned on completing her second at Ironman Canada in August 2013. In January 2013 she was diagnosed with Pancreatic cancer and had surgery to remove half her stomach, he gall blander, part of her pancreas and small intestines. She went on to complete Ironman Canada while undergoing chemo and this weekend completed Florida 70.3, finishing in the top 20 in her Age Group. Her talk was inspirational and sad at the same time. She will not live to see her grandchildren, to grow old with her husband or maybe even celebrate her next birthday. It reinforced one again, how important it is to live each moment to the fullest, love totally and passionately and chase your dreams with determination while you can. I plan on completing my first Ironman for my 50th birthday and I will dedicate it to Sindy when I do, a fellow Swim Bike Mom who helped me find my motivation again. It is 10 weeks to Tremblant 70.3 and I have 2 more running race and a 70K bike ride for charity before then so training is full on. I hope to break 60 mins for the 10K in a few weeks, the one goal I did not achieve last year and to get as close to 2 hours as possible for my half marathon in May. I feel more inspired as I train, that I can do the work necessary to achieve these goals and have fun while doing so. I also signed up for my fall marathon, in Toronto with my friend Barbara and a fun half marathon in Las Vegas that I will run with another friend Anita. I am looking forward to my training and racing, this is going to be a great year...I just feel it!